← 07.02.2015-Engaging the Best of You and Your Team! 07.09.2015-Become THE Authority in Your Life and Business! Do you aspire to greatness but are not sure exactly how to get there? Is there a best-selling book in your creative spirit? Tune in to The Unleashed Radio hour this Thursday from 10am-11am (CST) on Business 1110am KTEK (streaming live at www.UnleashedRadioHour.com) where our guest, T. Allen Hanes of the Authority Syndicate, joins us to share his experience in helping authors, speakers, entrepreneurs and coaches to get the recognition they deserve. 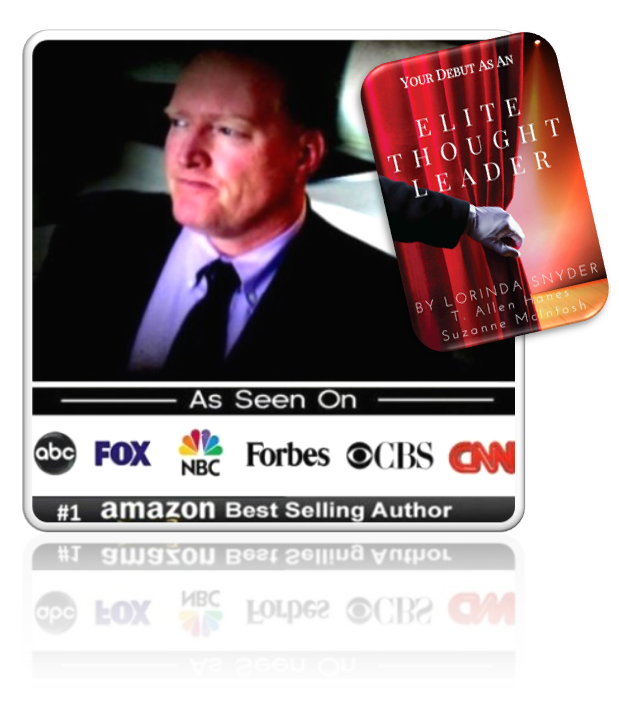 We will also be discussing his latest book, “Your Debut As An Elite Thought Leader”. Listen in to learn how you can claim your authority! This entry was posted in Book Club, Coaching, Engagement, Entrepreneurs, Leadership, Success Tips, Talk Radio, Vision and tagged bestselling author, Coaching, Entrepreneurs, Interview, Leadership, Success Tips, Vision. Bookmark the permalink.